A few weeks ago, I ran into a question on one of the forums asking for a script that can help the team validate object naming conventions. Immediately, I was able to sympathize with the team. What happens is that when developers use the graphical (GUI) tools in the SQL Server Management Studio (SSMS) or via a simple script, they often fail to specify a name to each individual constraint. These slips are not intentional – developers don’t often realize that each constraint is an independent object because they are ultimately related to another user defined object (a table). While this format will always generate a unique value, it would generate names that may not be intuitive. It is therefore a common practice to review the database code and review for compliance with naming conventions that have been defined in the product/project. This logic can be leveraged during code reviews/audits to identify objects where standard project naming conventions are not met. To demonstrate the functionality of the script, I create one table with a wide range of constraints – none of which have a name specified. Now, the following script is a simple string search that looks for strings ending with the hexa-decimal representation of the parent object. I hope you found this script useful. Please do share your ideas/scripts that you may be using in your day-to-day activities. 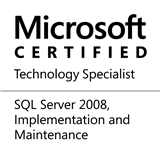 This entry was posted in #SQLServer and tagged #SQLServer, #TSQL, Administration, Best Practices, DBA, Development, HowTo, Tips on March 6, 2017 by nakulvachhrajani.